I love both of the new amps by Gold Note, the PA-1175 MkII and the PA-1175 MkII. Both are solid state, 200 watts per channel. Both are bridgeable to 520 watts per channel and even have the same styling. These two amps inhabit the same chassis, but they are distinct. One switch makes them both distinct and symbiotic. 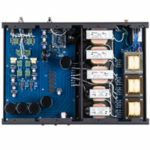 The Gold Note PA-1175 MkII offers the audiophile two distinct amps in one due to its unique Damping Factor function. But, let’s not rush so quickly into the mystery of this amplifier. First we must have some technical descriptions. 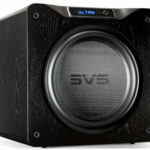 I know that a company’s history as well as an amp’s physical descriptions and basic operations are the most scintillating aspect of reviews, so let’s get on with it. The PA-1175 MkII is a class A/B design from a team that has been building OEM/ODM designs for more than 25 years, but six years ago become a distinct brand. It is the largest independent Italian audio company and is headed by mechanical engineer Maurizio Aterini, the founder of Gold Note. The company’s name denotes the quality of the products, the sole purpose being the achievement of the highest degree of musicality. Maurizio’s first designs were turntables and tonearms. As he collaborated with other engineers and designers, other components were brought to market. The PA-1175 is the first Stereo/Mono power amplifier carrying the Gold Note name. It incorporates the knowledge gained through the years in development of single ended large power amplifiers. The amp is classically understated, with a thick, brushed aluminum façade sporting two diminutive buttons on the right hand side. One button is labeled “DF” for Damping Factor and the other is the unlabeled front On/Off switch. /To the far left, where two channels in the faceplate reduce eye fatigue of the large field of metal, resides the Gold Note emblem embedded as a coin, and a pinhole blue/green LED indicating Damping Factor selection. On the backside the classic layout involves a true balanced configuration carried through the back wall of the amp to mirror image pairings of independent fuses, single ended and balanced inputs, and L/R speaker cable posts. In the center are the Master power switch, 15 Amp IEC, and a tiny “BTL” switch inside an impossibly small cavity. BTL stands for Bridged Tied Load (in casual parlance “Mono”). As has been the case historically with stereo amps having capacity for mono operation, the PA-1175 was superior as a mono amp to its being used in stereo mode for passive bi-amping. 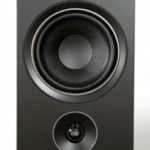 Bridging brings a wealth of sonic benefits similar to having a more fundamentally capable amp of the same design, while passive bi-amping merely improves slightly upon bi-wiring a speaker. Without the additional power that the tied load brings there is no sense of a vastly elevated performance. One benefit of the tied load operation of the PA-1175 is an attendant improvement in low-end fortitude. This is appreciated to bring into equivalency the perceived force of the midrange and the bass. The amp in stereo operation tends to focus the mind on the midrange, which is fine because it is so appealing. But when the bass becomes as prominent as the midrange, the holistic appreciation of the amp is increased. The situation is very like the alternative Mono mode of the Pathos Classic One MkIII Integrated Amplifier. You might say, “How are bridged PA-1175 stereo amps similar to the Pathos integrated amp?” The Classic One series of amps includes its own special feature, a Stereo/Mono switch that allows use of two units to act as mono integrated amps! It made for a wonderfully streamlined rig to run the source output directly into the “Pathi” as they are affectionately known. The Pathi were far more impressive as mono integrated amps than stereo integrated amps to be bi-wired (achieved though splitting the source analogue outputs and sending the pairs of them to the proper inputs of the Pathi). For all the finagling that went on trying alternative setups, the simplest and best sounding was the Mono operation. So also with the PA-1175. One can find an alternative wiring scheme, but it will sacrifice too much apart from Bridged Tied Load operation. The few quibbles I have with the PA-1175 relate primarily to design philosophy. There are thin aluminum spires that are supposed to reside in the channels cut into the faceplate, but three of these fell off shortly after arrival of the amp. They are held on with what appears to be a two-sided adhesive and successive reinsertion was unsuccessful. A more permanent means of affixing these pieces is in order. I think I would be able to do a repair in the field, likely by using thin strips of double sided tape and reseating the spires, but I do not alter any review component on loan from a manufacturer. This is not a major problem, but a slight assembly error to be tweaked. The BTL (Bridged Tied Load) switch is given poor access through a small cavity, and lacks indication of the setting positions on the amp’s back plate. I understand that the switch is recessed into the housing to prevent inadvertent toggling, but it is so petite and sunken that I had to physically stand the amp on its face, shine a flashlight into it and probe with a ball pen to slide it one direction or the other. The lack of a definite click or movement locking into place meant that I had to recheck after each attempt to move the switch. This aspect of the design had no bearing on operational performance, but it could stand to be improved. To be fair, the nature of the switch has zero effect on the sound and the audiophile normally does not switch between stereo and mono operation with frequency as I do. For most users the inconvenience will be short lived, perhaps as little as a single incident over the duration of ownership. Because the setting of the BTL switch was so obscured by size and placement at one point I actually had the amp set to Stereo while I attempted to set up a Mono speaker wiring. When I turned on the system the resulting hum was quite powerful, not enough to cause damage but enough to make me react quickly to kill the power. This was an example of why I am always right at the amp, finger on the On/Off switch, ready to switch it off when firing it up after assembly of a new system. I thought at first it was a nasty ground loop hum, but after eliminating all the possibilities it occurred to me that despite my confidence the BTL switch might be set incorrectly. It was, and when it was truly switched over to the Bridged Tied Load setting there was no damage to the amp and, importantly, no hum! One last design characteristic must be addressed, and it is important enough to mention, though not technically a design flaw. 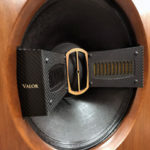 The effort to make the amp balanced through and through – remember, even to the operations of the back panel – causes a logistical connection problem for speaker cables when the amp is in BTL mode. The red/positive posts only are used to connect the + and – leads of the speaker cables when the amp operates in BTL (Mono). There is a serious shortcoming, and the word “shortcoming” is a propos to describe the frustration of discovering that not a single speaker wire I have on hand had long enough leads to reach breach the approximately 14” gap between the two red posts! I love stereo amps that go mono, but this issue drove me crazy! For some time I could not use the amps in BTL mode because the leads of the speaker cables would not stretch a necessary 15-16”. I had, just days before, returned the last of the TEO Audio Liquid speaker cables on loan following review – it figures, as they were the ones with individual positive and negative runs for each channel. As I was planning a review with ANTICABLES, I told Paul Speltz I needed custom length leads on the speaker cables. Another, less savory alternative, but one that eschews BTL operation, would be to run the amp in stereo but connect only one channel per speaker in order to use the entire power supply for the one channel. I have done this in the past with the lower powered First Watt J2 at 25 Watts per channel because it is a fixed stereo amp. However, it is a travesty to skip BTL operation for lack of proper speaker cables. The issue with the BTL switch can be addressed in a running change in production. The issue with the spacing of the binding posts for BTL use is a nuisance, not a showstopper. Owners acquiring a second unit and moving to BTL mode would not be happy to learn that their beloved cable will not have long enough leads to reach the red posts. The solution is clear enough: Gold Note needs to be proactive in informing customers that longer leads are necessary. In fairness I will add a word in defense of the wide placement of the BTL posts; it likely is a superior design in terms of performance, and likely their location was planned for that very reason. Shorter signal paths, direct locations without unnecessary runs jogging here and there, make for a discernible sonic advantage. I appreciate the care taken to ensure top performance. I would appreciate it more if there was preparation for the speaker cable needs ahead of time.